Chatbots are one of the latest additions to the HR toolbox. 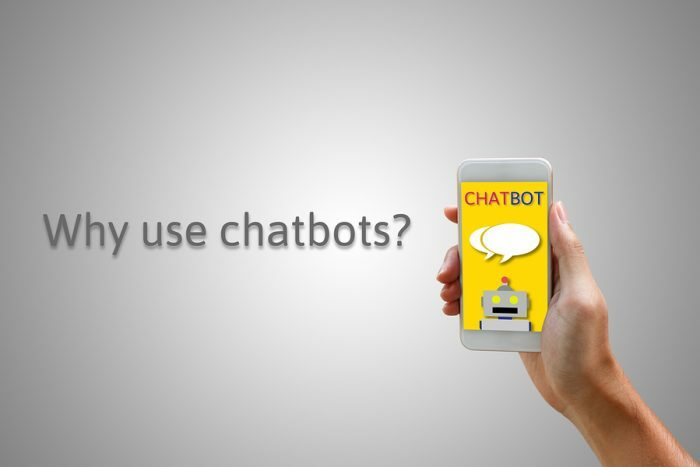 A chatbot is an interactive application that automates tasks and eliminates manual intervention. Chatbots interact with people and provide them with relevant information by using Natural Language Processing and AI together. Gartner once predicted that by 2020 the average person will have more conversations with chatbots than with their spouse. Candidates want to hear back about the status of their job application or where they stand after an interview. When they fail to get a response, it affects them negatively and reflects on the employer brand. That’s where chatbots can take over the situation. Chatbots can be used to perform a wide range of time-consuming HR functions. Recruiting is only one area where chatbots are being used; increasingly, employers are using them to respond to employee questions about vacation time and scheduling, benefits and more. Chatbots can manage administrative tasks – Employing a pre-arranged list of questions, chatbots can collect basic candidate information. They can screen candidates through questions about their experience, skills and qualifications. A chatbot can answer candidate queries about the status of their job application, schedule interviews and handle other routine administrative tasks. They save time – By taking over the routine tasks, chatbots free up recruiters giving them more time for proactive sourcing, and doing more high level work such as pipeline development and building closer relations with hiring managers. Improved candidate experience — Chatbots respond immediately to queries. And will answer multiple questions without any sign of impatience. This gives an excellent user experience to candidates as their questions are answered quickly. By eliminating the ‘black hole,” candidates have a better impression of the process and the employer. If chatbots are useful, there are many challenges related to them if you choose to use them in the recruitment process. No standardization when candidates text — Everyone writes differently. Some use slang, some abbreviate while others use formal language. It can be difficult sometimes, for a chatbot to understand what’s being asked. A well-designed bot will ask for the question to be rephrased. If it happens often enough, it can be frustrating for the candidate. Sometimes, the chatbot’s response will be confusing or unresponsive, which creates a negative impression. No human touch — It is a fact that chatbots do not sound “human” at all. This makes the conversation boring. Though a chatbot can be programmed to deliver humor while interacting with candidates, a candidate still seeks for an emotional element while talking. Unpredictable candidate reaction – While the majority of candidates are comfortable interacting with a bot, some may react negatively. Some – potentially including top talent not willing to wade through a lengthy chatbot interaction — might simply terminate the conversation. It all depends on how well the chatbot is answering their questions. With a high potential to manage the task of engaging candidates and taking them through the final process, HR chatbots are now the latest trend in recruitment. Seeing their benefits, they are not just options but a must-have tool while hiring candidates. Providing an excellent candidate experience is one of the top priorities of organizations. This can happen with the help of chatbots. Lovepreet Dhaliwal works with RChilli Inc, a leading resume parsing software provider which helps in speeding up your recruitment process. An MBA in HR and marketing, he has over six years of work experience in business development and strategic sales.